Every groom wants to look his best for his bride at their wedding. 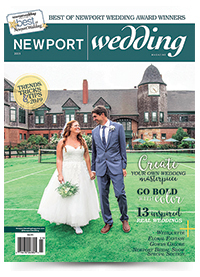 The Newport Bridal Show features fashions to suit every man so there's no excuse for waiting until the last minute. You can find the perfect tux for you and your attendants. Tip: The bride and groom’s outfits should complement each other.